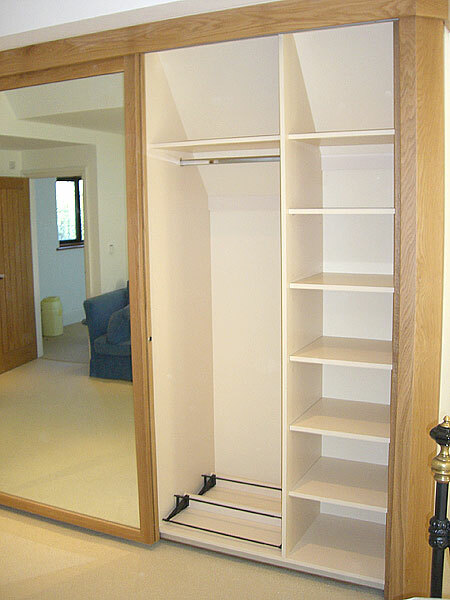 Delighted with their bespoke cherry wood kitchen, this local family returned to King Cabinet Makers for a space saving bespoke wardrobe solution in the master bedroom. 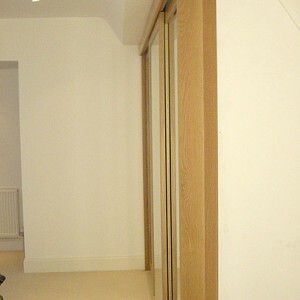 The older style property had misshapen walls and low-level ceiling areas as the room sat in the eaves. 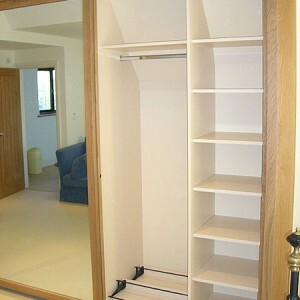 An off-the-shelf wardrobe solution was therefore impossible. 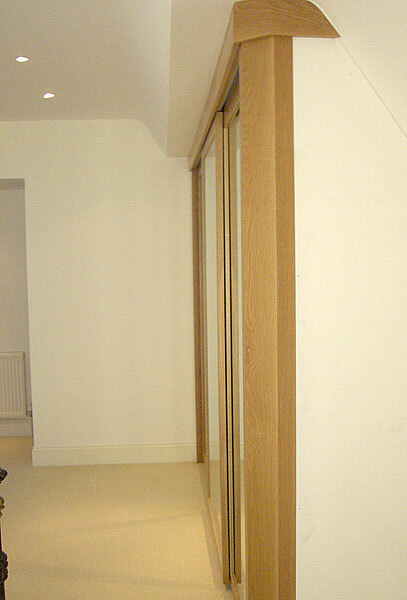 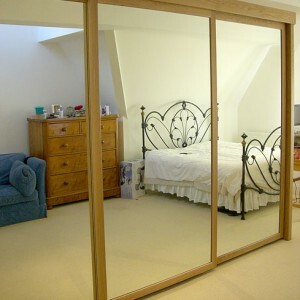 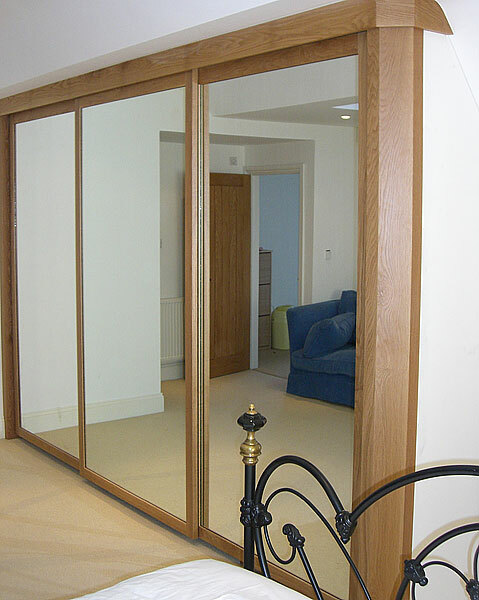 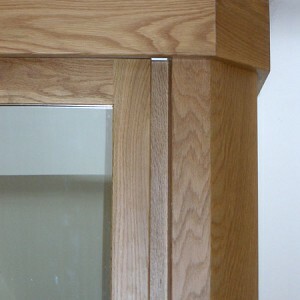 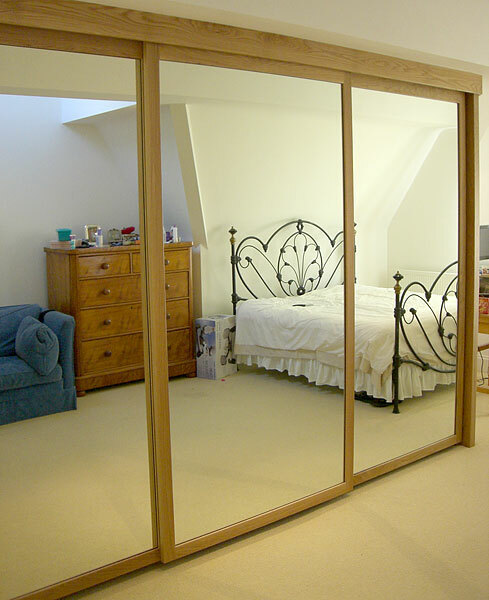 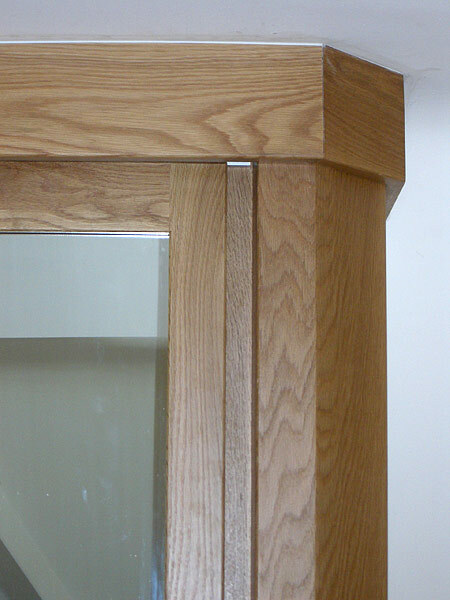 The solution was this solid oak framed, triple mirrored, sliding door wardrobe with custom made interior, incorporating a variety of fixtures and fittings. 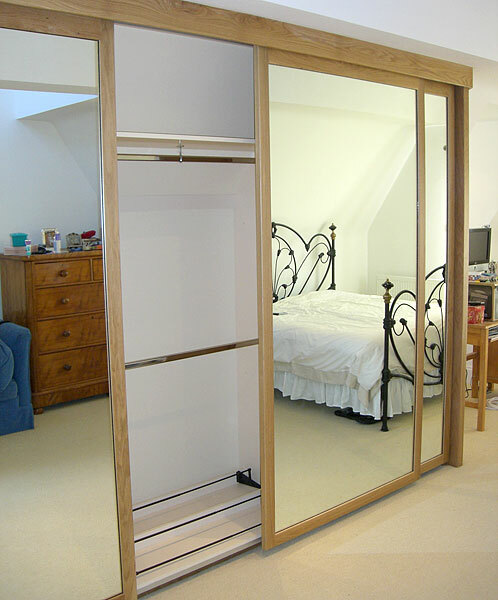 Now the master bedroom benefits from an spacious look with wardrobes that enable the clients to store all their clothes, shoes, ties, belts etc. 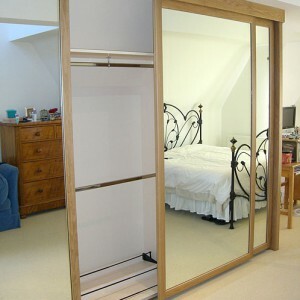 in easy to access specially designed areas. 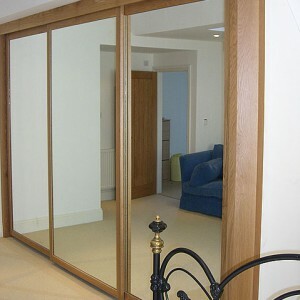 For your bespoke wardrobe solution contact us now.